Pregnancy discrimination continues to threaten the security, position, and rights of women in the workforce. A class-action discrimination lawsuit has been filed against the large retailer, Pier-One Imports after a plaintiff was forced into maternity leave before her due date. California labor law protects women from such discrimination; however, not every state has the same protections for pregnant employees. The case was filed by the Legal Aid Society in the Superior Court of California in the County of Santa Clara. 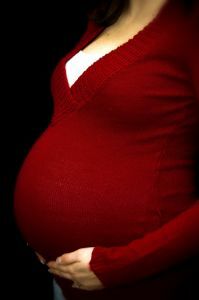 Under California law, pregnant employees cannot be forced into voluntary leave. Our Orange County pregnancy discrimination attorneys are dedicated to protecting the rights of women in the workplace. Our legal team will investigate any allegation of pregnancy discrimination and pursue every legal avenue to protect your rights and interests. We are experienced with even the most complex employment and labor disputes and can effectively handle your case. In addition to advocating for our clients, our legal team is abreast of cases and legislative developments that impact the rights of our clients. The plaintiff alleges numerous discriminatory acts, including failure to provide reasonable accommodations for her pregnancy. According to the Legal Aid Society, the plaintiff informed her employer that she was not able to lift more than 15 pounds during her pregnancy or climb ladders. According to Pier One, the company has a ‘light duty’ policy allowing pregnant women with related conditions to be on light duty up to 8 weeks. After these 8 weeks, the employees are put on unpaid pregnancy leave if continued accommodations are necessary. The plaintiff was put on light duty which ended after 8 weeks and then put on unpaid pregnancy leave which was set to expire before her duty date. According to these terms, the plaintiff would have had to return to work before she gave birth. Legal Aid alleges that the restriction of 8 weeks light duty violates labor laws requiring employers to make reasonable accommodations for pregnant women. California law prohibits employers from forcing pregnant women into voluntary leave. It also protects pregnant women against employers who fail to make reasonable accommodations. The lawsuit against Pier One seeks to represent all female employees who have been forced to take unpaid leave after 8 weeks of light duty work. The California state protections are not applicable to all workers in the United States. Currently, the Pregnancy Discrimination Act forbids discrimination involving hiring, firing, pay, job assignments, promotions, layoffs, benefits, and leave or other conditions of employment. Despite these protections, employees have been able to find loopholes, failing to accommodate pregnant workers. Pregnant women who have suffered from discrimination during pregnancy should consult with an experienced advocate who can explore all legal rights and options. A federal bill, known as Pregnant Workers Fairness Act is pending and would extend similar protections to all workers. It would close loopholes that have allowed employers to fire pregnant women rather than make appropriate and reasonable accommodations during pregnancy. Due to legal reasons and failed legislative action, courts have sided with employers.